BluStack was developed to be flexible Bluetooth protocol stack that is portable and compatible with different platforms. It currently includes a full, reliable and independent software application which is compatible with PC platforms, and all Bluetooth chipsets. Furthermore, it can be easily ported to an embedded platform. Bundled with the software comes a driver for operability under the Windows operating system. Version 1.0.3398.17715 is a freeware program which does not have restrictions and it's free so it doesn't cost anything. 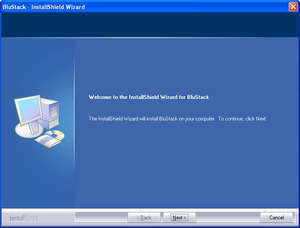 For security reasons, you should also check out the BluStack download at LO4D.com which includes virus and malware tests. Additional screenshots of this application download may be available, too. BluStack has a presence on social networks.